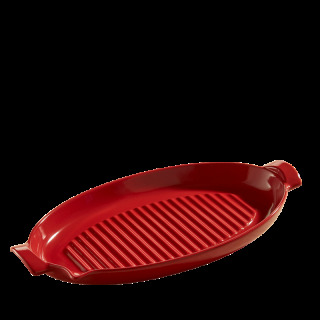 The Emile Henry Fish Grill allows you to cook your fish or seafood easily on the barbeque, ensuring that it remains tender but keeping that delicate smoked flavour. 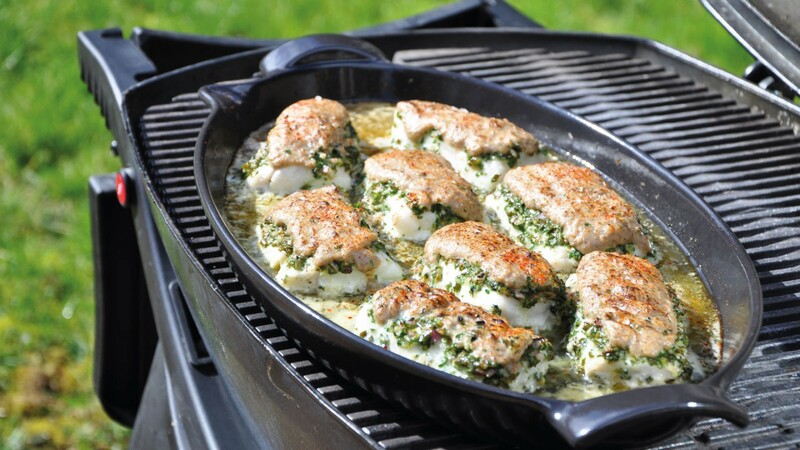 Thanks to its high sides, marinate your fish directly on the grill. You can either cook the fish in the marinade or you can pour it off before cooking, thanks to the pouring lip. 1 hour is enough if you marinate at room temperature. If you marinate in the fridge, it will need between 4 to 12 hours. Pre-heat your barbeque and put your Fish Grill directly on the grill. You can use a gas or charcoal barbeque. With charcoal, make sure the heat is evenly spread over the dish. The ribbed surface will make attractive marks on the food and will prevent the fish from boiling in its juice while cooking. You can close your barbeque lid to cook faster. Once cooked, you can serve the Fish grill directly on the table, it will keep the contents hot throughout the meal. You can also use the Fish Grill in a traditional oven, following the same recipe. Make sure the charcoal is evenly spread out before putting your Fish Grill on the grill. The Fish Grill is for oven or BBQ use only. Do not use on the stove top or on any other source of direct heat.